On the night of our fifth day in Sulu, we finally packed our bags for the last time. It was past dusk when we departed Camp Bud Datu and were escorted to the port of Jolo. The sight of so many people packed in so little space unnerved us. Our marine escorts quickly led us to the docked ferry and secured our room. It took ten almost sleepless hours before we finally disembarked at Zamboanga City. Walking on the port to a waiting vehicle, everyone breathed a sigh of relief. The feeling of being able to walk without a platoon of marines looking out for you was liberating. This is freedom. The first order of business was food. Since we were not allowed to go out of our cabin en route to Zamboanga City, our stomach was already protesting even before the ferry touched land. After a few minutes of driving we went to an open-aired cafeteria aptly named Amigos & Amigas; the city didn’t get the moniker Asia’s Latin City for nothing. 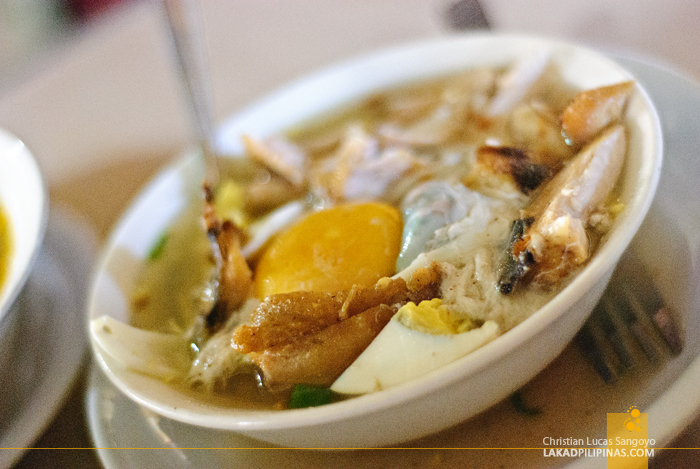 The food was surprisingly familiar; batchoy, arroz caldo, bulalo and all the usual fares found all over the Philippines. While my companions went ahead and ordered the first thing they laid their eyes upon, I looked for something local. After a few minutes of asking and snooping around, I finally found it; satti! 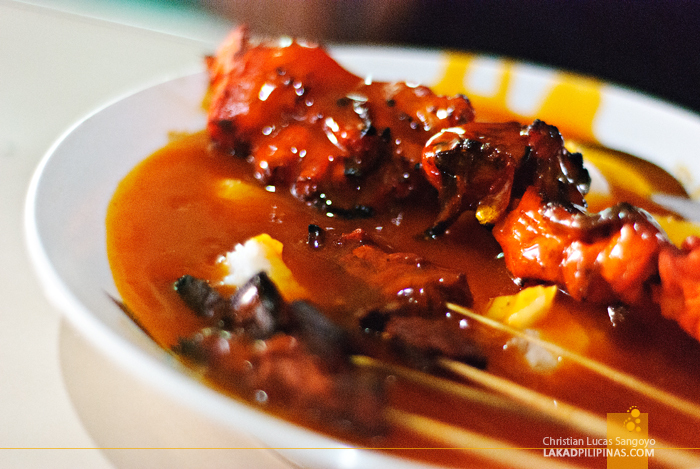 It’s a staple breakfast fare for Zamboangeños similar to barbecue, but is made up of skewered poultry and liver dipped in spicy sauce. With the dragons in our tummies satiated, it was time to go shopping. Everyone has heard so much about the barter place in Zamboanga City that we decided to drop by even before unloading our bags at Camp Navarro, the AFP installation in the city. The market is called Canelar Barter. 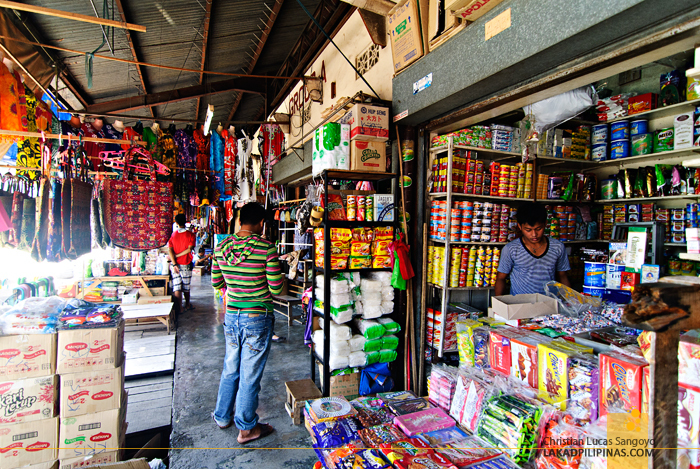 From the outset, I can see that this is no ordinary bazaar. 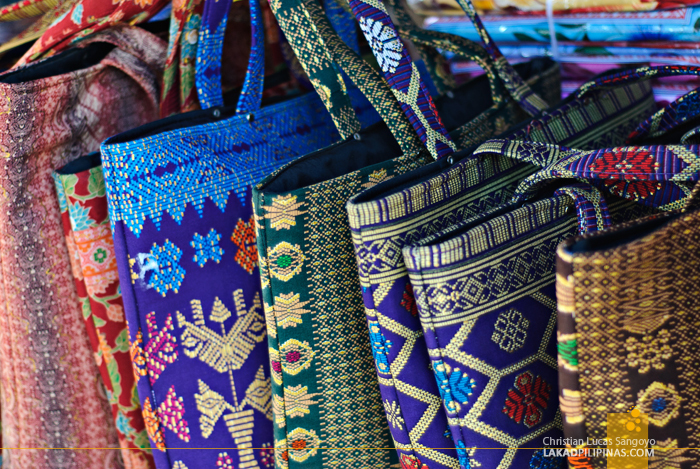 The area is replete with colorful textiles, most of them coming from Malaysia; they have scarves, bags, hijabs, shawls and batiks. Besides that, they have tons of Malaysian noodles and goodies for sale. It’s just too bad that I didn’t know about mee goreng back then, else I would’ve bought a ton. What I’m on the lookout for then were scarves. And they’re quite cheap here, so I bought five. Lol. 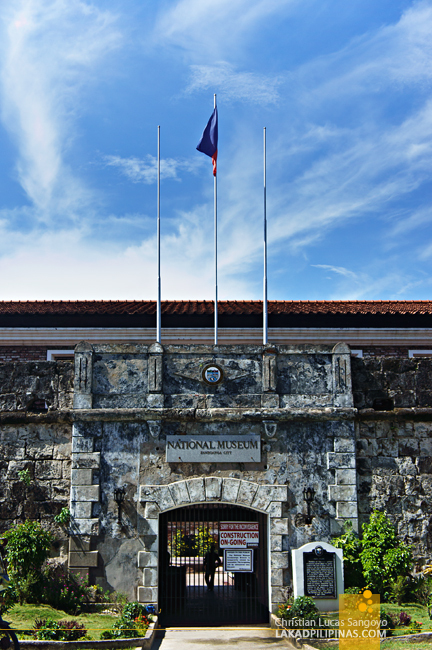 Packing plastic bags full of colorful pasalubongs, we passed by Zamboanga’s National Museum. 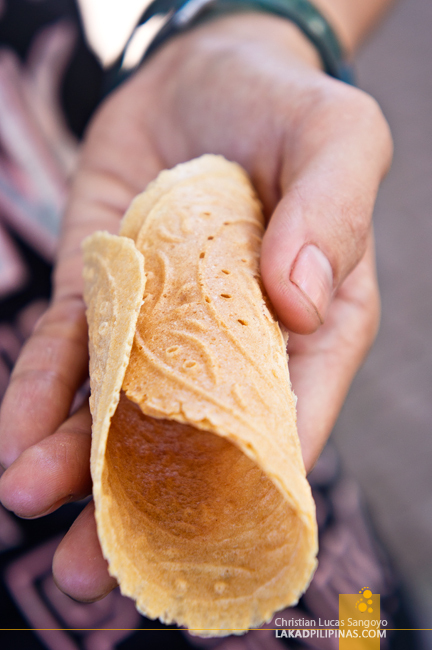 It was unfortunately closed for restoration during that time so we did the next best thing; buy some barquillos from the vendors in the area. It was quite different from the usual ones I’m used to, it’s much lighter in flavor and has some markings along the surface similar to the Sanikulas cookies in Pampanga. It was quite cheap at Php12.00 for 10 pieces. It went well with a bottle of Coke. Our last stop was the Shrine of Our Lady of the Pillar. 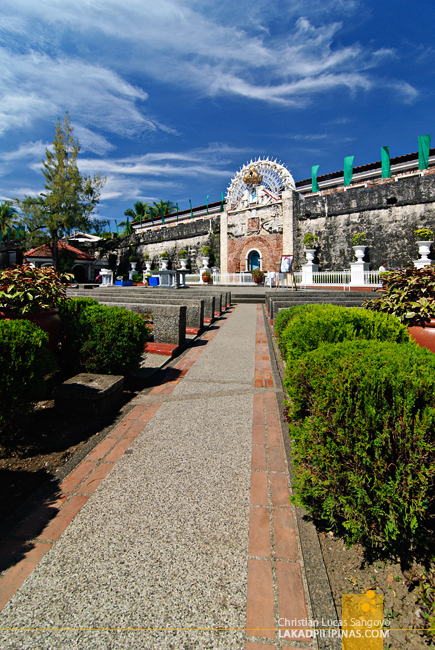 It’s an open-aired chapel of sorts with the altar set within the old walls of the Zamboanga City’s National Museum. It reminded me so much of the Cotta Shrine in Ozamiz City which has a similar set-up. 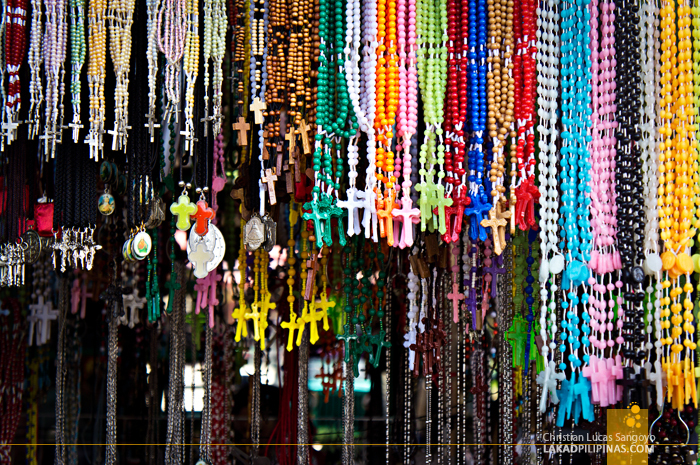 It was quite surprising for me to find so many rosaries and candle-sellers in the area. I’ve always assumed that Zamboanga City is a Muslim city; it appears I’m totally wrong. I was told that the majority of Zamboangeños are Christians, like 70% of them are. Only 22% of the populations are Muslims, but even so, that’s still a fair amount of people considering the city has a population of more than 800,000. 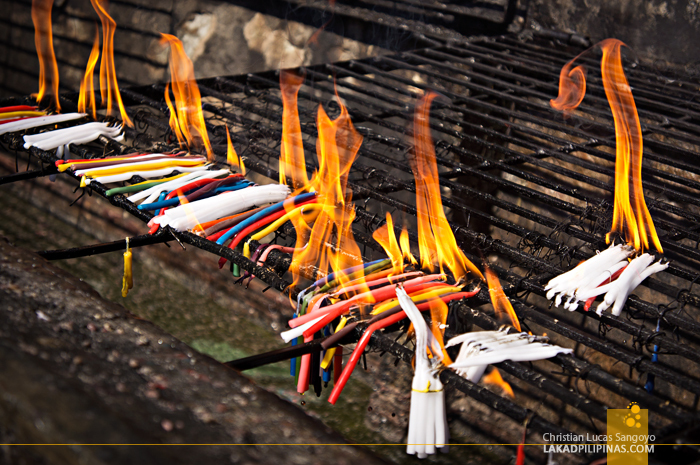 I pondered over this as I looked on at the burning candles offered near the shrine. Religious differences are nothing if people are willing to work together. 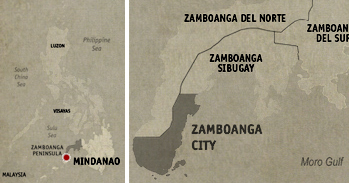 Just look at Zamboanga City. I guess it’s all about how you generally are as a person. It’s not about religion; it’s about how well you treat that person next to you without bias for status or religion. Nakakagutom ang satti! Haha the same kaya yan sa satay? Ung bbq sa singapore at malaysia. wow the food looks so good! 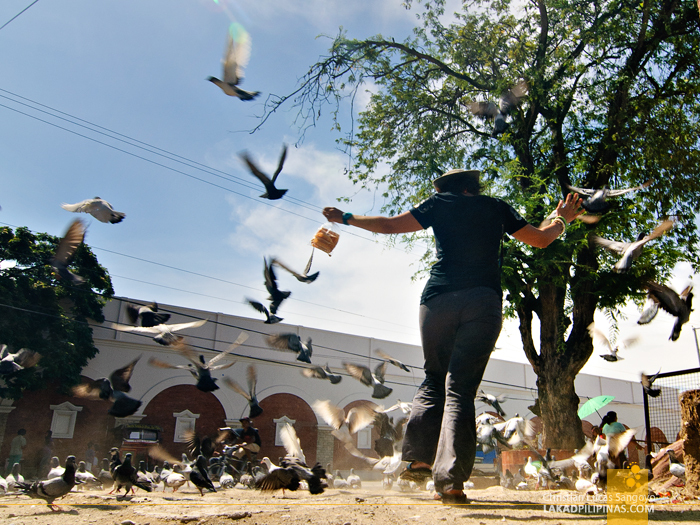 haven't been to Zamboanga in nearly twenty years!